The high levels of dust and or odor control products available at Señor Mist will save your business from burying itself in the dangers of an unhealthy work environment. If you’re working in a location riddled with high levels of dust and odors then you, your team, and everyone in the general area surrounding your business are being put at risk. When working in an environment filled with unmanaged dust, you’re in danger of inhaling dust into your lungs and developing serious health issues. High levels of dust and odor also open your business up to the risk of having to pay hefty fines for breaking Arizona’s increasingly strict environmental regulations. All our our systems are managed with reliable and easy to operate remote controls from Bluetooth to RF, allowing you to conveniently control necessary zones and turn on or off with the touch of a button. The high pressure dust and odor control options available will eliminate the concerns of a dangerous work environment and help your business focus on your projects. Our cutting edge systems will dampen the dust particles in the air and prevent the unwelcome bi products of industrial services from becoming airborne. 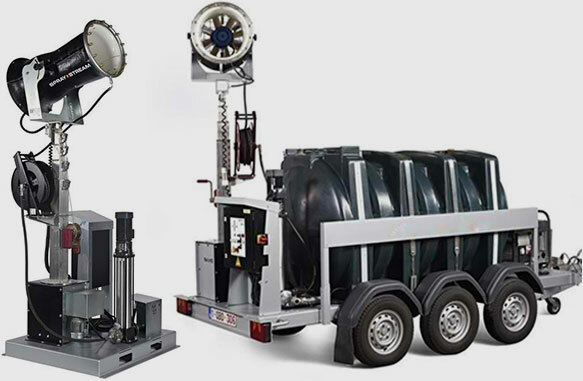 Our dust suppression cannons come in multiple sizes to adapt for the needs of your business. 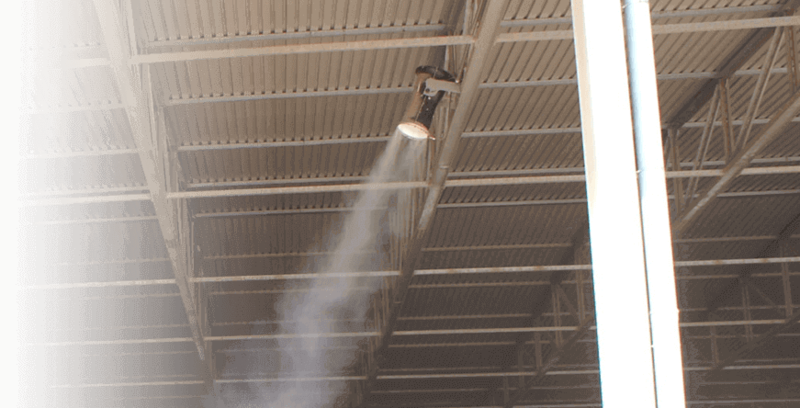 Our Fogco Fog Cannon can throw fog from 50-450 feet and is the preferred solution for any open or outdoor dust suppression needs. 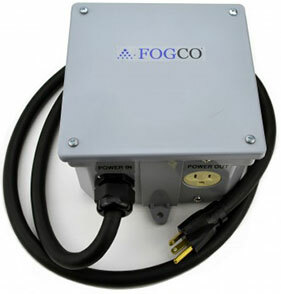 Our Fogco units can be stationary or mobile and are easily connectable to existing power and water sources. 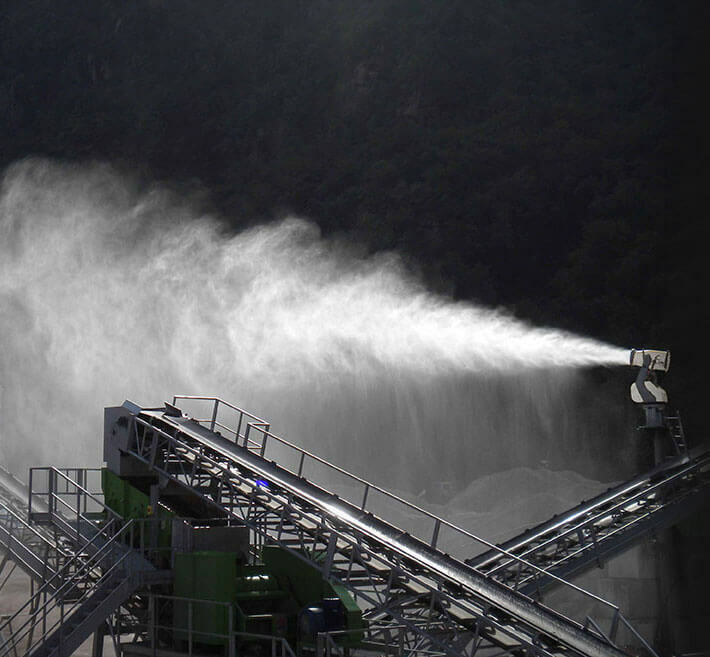 Our dust cannon systems can be managed individually or as a collective whole from one control center. 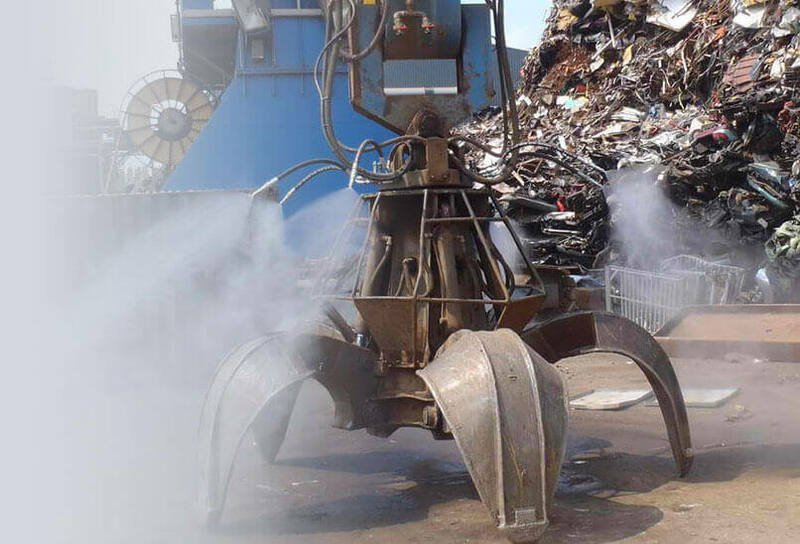 Our dust cannons offer adjustable nozzle rings which allow for the optimal amount of moisture levels and prevent dust piles from building up and blowing around. If your looking to manage dust for an indoor workplace, we have to ability to install static overhead lines in a grid-like matrix across the ceiling of your building. These lines will release optimal amounts of fog and create moisture and push dust into the ground. Odor control and elimination is an important part of maintaining a healthy work environment. Our systems have proven to be able to eliminate strong odors from cannabis, carbon dioxide, ammonia, Hydrogen sulfide and methane. Our indoor odor control systems can be installed by adding nozzle rings onto existing ductwork or fans, which helps create a matrix to cover the entire ceiling above your workspace. By releasing a proprietary odor control blend into the water supply system and producing a fine fog, we are able to create a series of chemical reactions to neutralize any strong odor in your facility. If your in need of a system for an outdoor job site, we can set up a perimeter that works as a high pressure defense system that produces fog lines. This system will release the same proprietary blend for odor control and handle any strong necessary odors. Señor Mist offers a variety of pump configurations such as Direct drive, Pulley drive and VFD (variable frequency drive) all of which can be configured for "zoning" applications. Whether your interested in an open framed pump or an option that will keep your pump completely enclosed from the elements, Señor MIst will set you up with a system perfect for your needs.